I then wrapped some metallic blue cord around the panel, cut three tags, stamping the sentiment and sponging the edges of the white one with the same blue I had previously used. The edges of the dark blue tag were sponged with Platinum ink, the final tag was cut from sparkle card. The tags were attached with more blue cord, and also adhered with glue dots to keep them positioned 'just so'. I had mounted the blue layer on the white base, and was still not happy, so I then covered the tags with some scrap paper and splattered with blue perfect pearls and some old silver shimmer spray - neither container will spray now, but the contents splatter well! The inside of the card was finished with some silver and blues washi tape. A perfect creation for our 'Make it Masculine' theme at Allsorts challenge Maxine, so nice to see the colour pallete carried to the inside as well, many thanks for joining in. Such a beautiful card with lovely details! It’s funny how some cards just flow then others do the two steps forward one step back routine! But looks grand Maxine and always handy to have another birthday in your birthday stash. I must make a thank you Card tomorrow l just have it get interested, my get up and go is sliuggish in this heat. Hope you’re coping ok. I also want to thank you for taking the time to visit and follow me on my Stampin' Up Business page. I appreciate it so much. I am also your newest follower! I hope you have a wonderful day! Maxine, is that washi tape that I spy? I love washi tape! I also love the clocks on this beautiful birthday card! So great to see you joining us at Allsorts challenge this week with this fabulous creation! 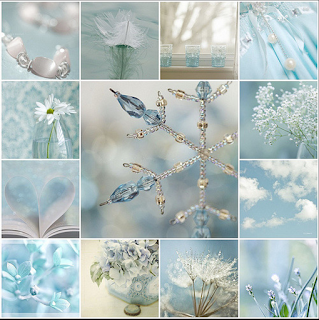 Loving the design and gorgeous shades of blue! Thank you so for playing along with us! Glad you continued the journey to finish this wonderful masculine card. Yes gel medium can sometimes seep underneath a stencil and can be quite annoying. I several different gel mediums, with different consistencies as a result! The stippling with the blue looks fabulous. Love the way you did the tag too x. Great job on the stenciling! Thanks for joining us at A Gem of A Challenge! Wow-- this card is lovely! The stencil is great- I will have to try to use my stencils upside down : ) The tag and the shimmer and the Washi are wonderful! Maxine, this has turned out so well. Aleeza made a card similar to this today and we were wondering at the telepathy. Lovely stencilling and colours, and I like the two little tags, fabulous! Gorgeous card Maxine - what a result in the end! But, I could feel your pain along the way - I have cards like that as well and battle on anyhow. Well, I think all the trouble you went through to make this card was worth the effort. It's fabulous! You are always so creative and this card was just busting to get out of you. I'm sure your friend will love it. great card mf...I love the blue and am fascinated by clocks so it's right up my alley. Amazing card, Maxine. Great design and I love the washi tapes you used for the inside. Hugs, my dear friend. This one ist to fall in love with it instantly! This is gorgeous! I love the white splatters. So pretty in blue!